It's been yet another hectic day in the world of tech but we're going to help you catch right up, courtesy of our friends at TechRadar. Read on for news on upcoming phones from Samsung and Sony, Intel chip upgrades, Fortnite for Android and more skips on Spotify. Now the Note 9 is official, the rumour mill can turn its attention to the Samsung Galaxy S10 due in 2019. According to supply chain sources, the phone's rear camera will boast a 12MP wide-angle lens, a 16MP super wide-angle lens, and a 13MP telephoto lens – we're looking forward to seeing what kind of camera tricks the flagship phone can pull off next year. Like Samsung's phones, the next Sony flagship device is going to eschew the display notch and stick to a classic look, according to reports. Based on testing devices spotted on the web, the upcoming Sony Xperia XZ3 is going to have a 2160 x 1080 pixel, 18:9 aspect ratio screen, so don't expect the design to vary too much from Sony's existing phone line-up. Having initially launched as a Samsung exclusive, the Fortnite for Android beta is now open to owners of a variety of other Android devices – including phones from Google, OnePlus and Essential. Click below for full details of who can sign up for access, then get your name down on the Epic Games website to be next in line for the gradual roll out. 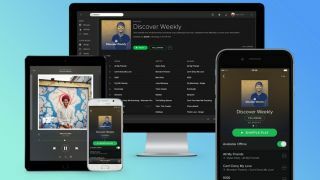 Spotify has confirmed it's testing a tweak for users on its free tier, where they get an unlimited number of ad skips – so they don't have to listen to all the adverts between songs in their playlists. So far the trial is only being run in Australia for a selected number of users, so we'll have to wait and see whether Spotify decides to roll it out to everyone. If you've got a computer, chances are it's powered by an Intel processor, and a leaked document suggests the 9th-generation family of top-end Intel i9 chips are going to hit the market earlier than expected: October in fact. Bringing better performance than ever, and more efficient power use too, it's a rumour worth watching for hardware enthusiasts.